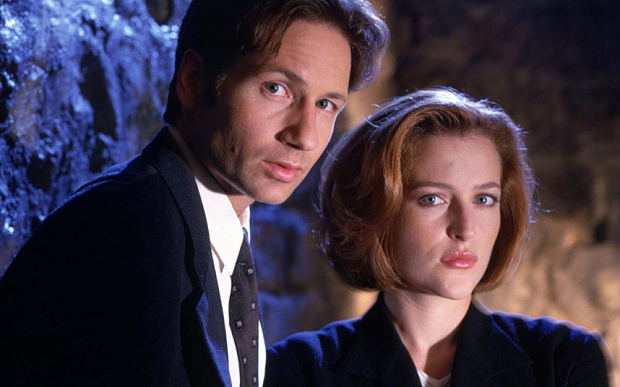 Mia Giannotti, who runs the Target Addict blog, is here today to tell us how she feels about the new X Files reboot. The show returns tomorrow night (January 24th) on FOX 10ET/7PT. Don't hate me, but I'm more excited about the upcoming X-Files "six episode event" than the latest Star Wars movie. In fact, I haven't even SEEN the new installment of Star Wars, but I will definitely be tuning in on Sunday night for The X-Files reboot. 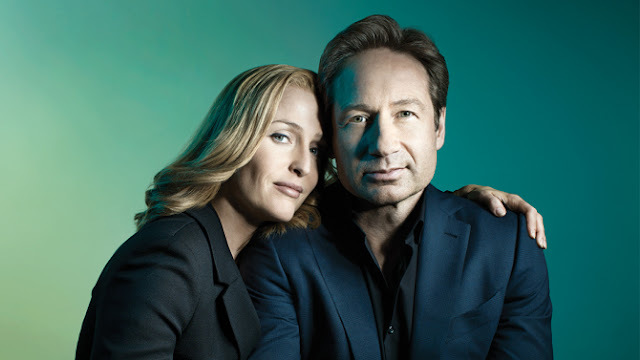 In case you've been hiding under a rock these past few months, David Duchovny (Agent Fox Mulder) and Gillian Anderson (Agent Dan Scully) are reprising their roles in a limited-run continuation of their mega-popular Fox series from the 1990's. Circa 1995 I was even mistaken for Gillian Anderson once at a department store (during a red-hair moment) which flattered me to death but made my boyfriend at the time just roll his eyes. I digress, but the point is that I was a fan then, and I still am now, although I'd be hard-pressed to pick my favorite episode. I always gravitated more towards the stories tying up the whole mythology (the aliens, Fox's complicated lineage, his sister's disappearance, Dana's abduction, etc.) vs. the psycho killers and random madmen (the mere thought of the inbreds in "Home", for instance, still gives me nightmares). The other big draw for me was the chemistry between Agents Mulder and Scully. Mulder was a believer in the paranormal, whereas Scully - a woman of science - was always there at his side to try to poke holes in his crazy theories. Their relationship started out platonic, but soon the believer and the skeptic became romantically involved as the cases they investigated became increasingly more complex. To prep for Sunday's debut, you may want to watch this rather long video preview (20+ minutes!) to catch you up to date. But a warning: it contains a few spoilers (including a major one relating to the history between Dana/Fox) so if you want to come in completely "cold", I'd recommend skipping it. I cannot wait for tomorrow—X-Files and Downton Abbey on the same night; otherwise known as a little bit of heaven! Quite a juxtaposition, but what a great night of TV.